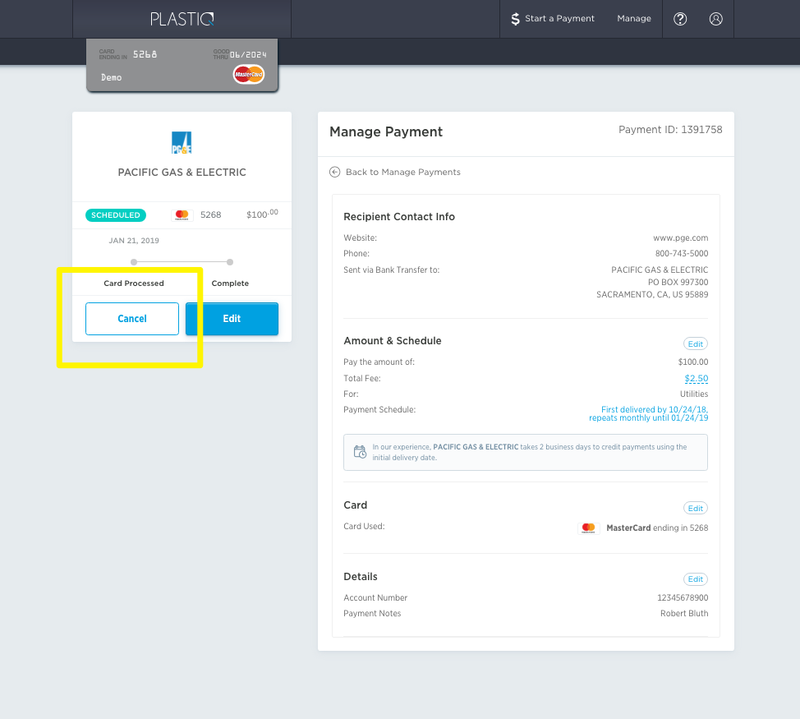 Click on the Manage Payments tab in the top-right corner once signed into your Plastiq account. 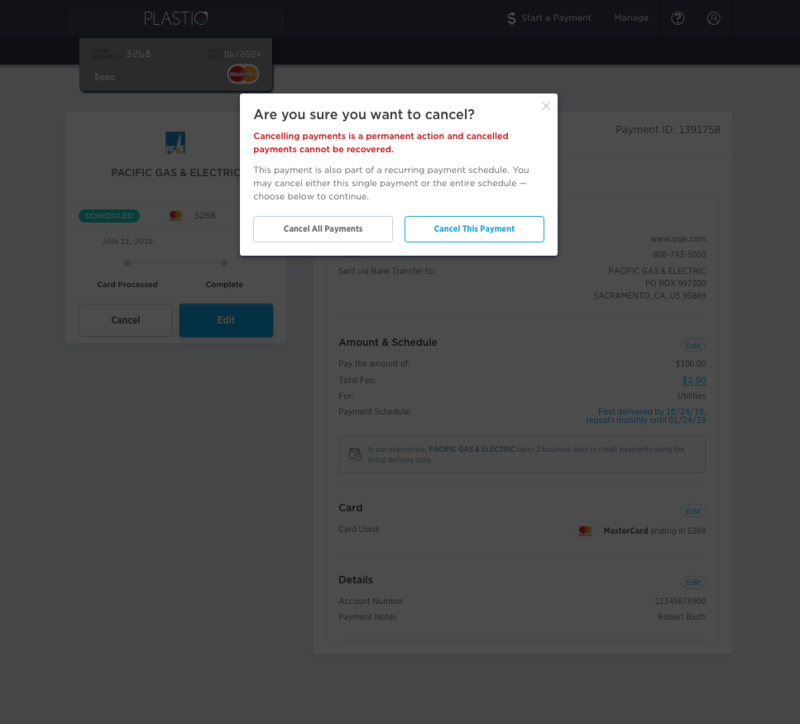 Select the payment you would like to cancel. Click "Cancel" on the left-side panel (next to the edit button). If this is a one-time scheduled payment, click "Cancel Payment". If you are canceling a series of payments, you have the option to cancel all payments in the series as well by selecting "Cancel All Payments". 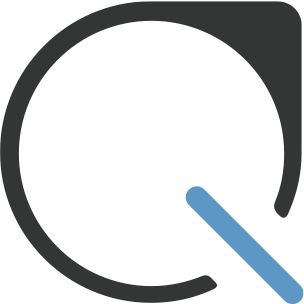 NOTE: Cancelling payments is a permanent action and cancelled payments cannot be recovered. A payment may only be cancelled up to 11:59 PM ET the day before it is scheduled to run. If the payment has started processing, you can not cancel the payment.